We are planning an excursion to Ireland for later in the year, and began to feel just a titch Wilde. Our gentleman’s personal gentleman does not fully approve, Mr. Wilde having been noted for a flamboyant manner of dress that he tries to steer our Bertie away from. Well, never mind that. 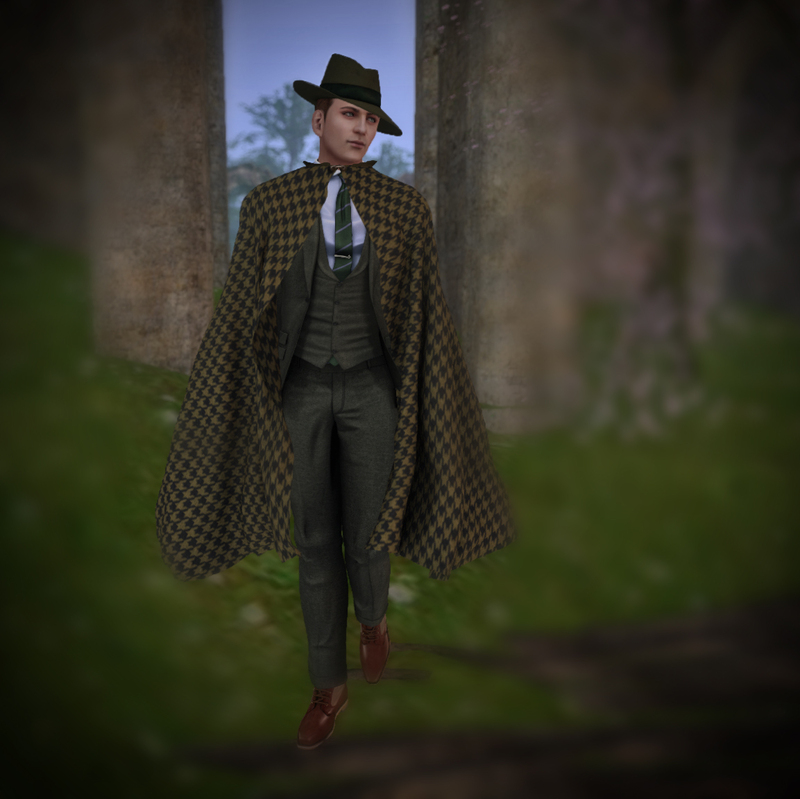 Mr. Wooster would have this cape, valets be damned. Are the Irish Particularly Flamboyant? Victorian? Edwardian? A little of Both? Something of Neither? 1920s Berlin Project The website for Second Life’s online virtual experience of Berlin during the Weimar Republik. Art Deco Society of Califronia Dedicated to the preservation of early 20th century American architecture and artifacts. Laurence John English designer / artisan who makes clothing inspired by the details and construction of 1920s – 1940s menswear. New Toulouse Based on New Orleans at the turn of the 20th century. Which of the two Big Easies is the better? You be the judge. Otium Reminiscent of an Italian hill town. An Uptown Dandy Photographic history of the sartorially sophisticated men of the Inter-War Years, 1920-1945. Historical Costumes Flickr pool apparel and fashion throughout history as seen in portraits, sculpture, museum collections, or worn by performers or reenactors.